U.S. Purdue University, Departmemt of Industrial Engineering, Ph.D.
U.S. Purdue University, Departmemt of Applied Mathematics, M.D. Professor Grace Lin became a Vice President, Director of the Big Data Research Center, and Chair Professor in the Department of Business Administration, Asia University in Taichung, Taiwan, in June, 2016. She is also an INFORMS Fellow, board member, and VP for International Activities. From 2011 to 2016, Dr. Lin was the Founder and VP of the Data Analytics Technology and Applications (DATA) Institute and VP for the Advanced Research Institute (ARI) at the Institute for Information Industry (III). At III, she initiated key industry-government R&D programs including Smart Living and Smart Commerce Strategy Plan, Big Data Analytics, Smart Healthcare, Smart Tourism, FinTech and Smart Agriculture. Previously, Dr. Lin worked for IBM US for more than 16 years as the Global Sense-and-Respond Value-Net Leader and CTO & Director for Innovation and Emerging Solutions at IBM Global Business Services; and as a Research Staff Member, Manager, and Senior Manager at the IBM T.J. Watson Research Center. She was an elected member of the IBM Academy of Technology, an IBM Distinguished Engineer, and a Relationship Manager for IBM’s Integrated Supply Chain. She has also served as an Adjunct Full Professor at the Department of Industrial Engineering and Operations Research at Columbia University, New York, and an Adjunct Chair Professor at the School of Big Data Management at Soochow University, Taiwan. Throughout her career, Dr. Lin has been widely recognized as a leader, innovator, and educator in Big Data Analytics, Supply Chain Management (SCM), Value Net Optimization, and Intelligent Manufacturing. At IBM, she and her R&D team pioneered the Extended Enterprise SCM. She also initiated IBM’s Sense-and-Respond Value-Net efforts and founded the Value Chain Innovation Center. Later, she created Sense-and-Respond consulting offerings, bringing state-of-the-art business models and technology to IBM and its global customers in both public and private sectors. 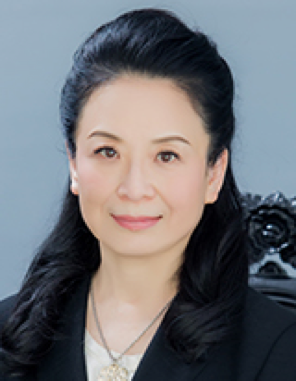 Her background and experience have positioned Dr. Lin at the interaction of technology, innovation, business consulting, and management as well as the interaction of academia and industry. Referred to by Forrester as one of the six supply chain gurus, Dr. Lin has published more than 80 technical papers, book chapters, and articles, and co-authored eight patents, with another six pending. Twice elected INFORMS VP Practice and VP International Activities, she has chaired the INFORMS Fellow Selection Committee and several INFORMS and IEEE Conferences. In addition, she has served on university advisory boards, National Science Foundation panels in the US, Canada and Ireland, and editorial boards including Manufacturing and Service Operations Management (MSOM), Operations Research, Interfaces, and Service Science. She is a frequent keynote speaker at global conferences and industry events. Her awards include the INFORMS Franz Edelman Award, IBM Outstanding Technical Achievement Award, the IBM Corporate Logistics Award, the IBM Research Division Award, the IIE Doctoral Dissertation Award, and the Purdue Outstanding Industrial Engineer Award. Dr. Lin received her Ph.D. in IE and M.S. in Applied Math from Purdue University, West Lafayette, US and an M.S. and B.S. in Math from Tsing-Hua University, Hsinchu, Taiwan.